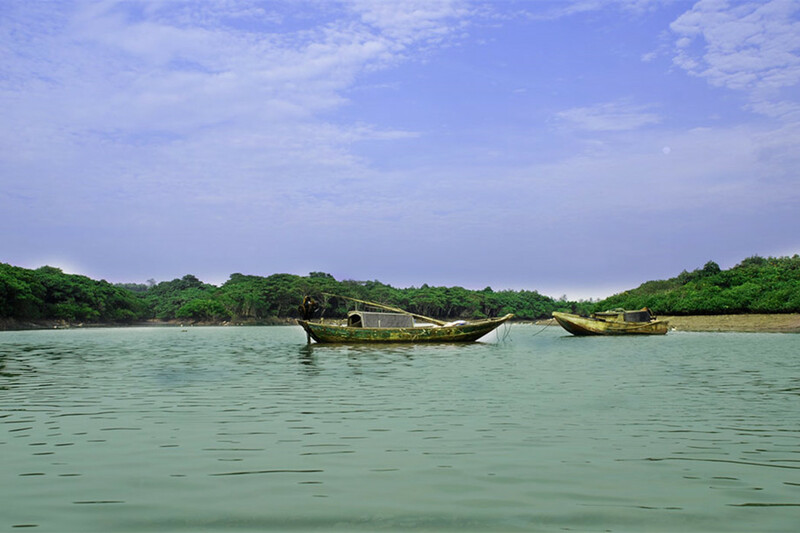 We would recommend a day tour in Haikou with the following places of interest so to have a glimpse of Haikou’s natural reserve and tourist sites. Haikou Fengxiaogang Movie Studio is part of Haikou Mission Hills. 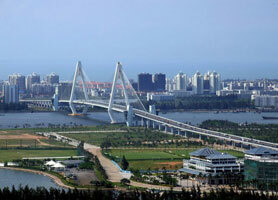 It is the first movie theme tourism park named as a film director Mr. Feng Xiaogang. 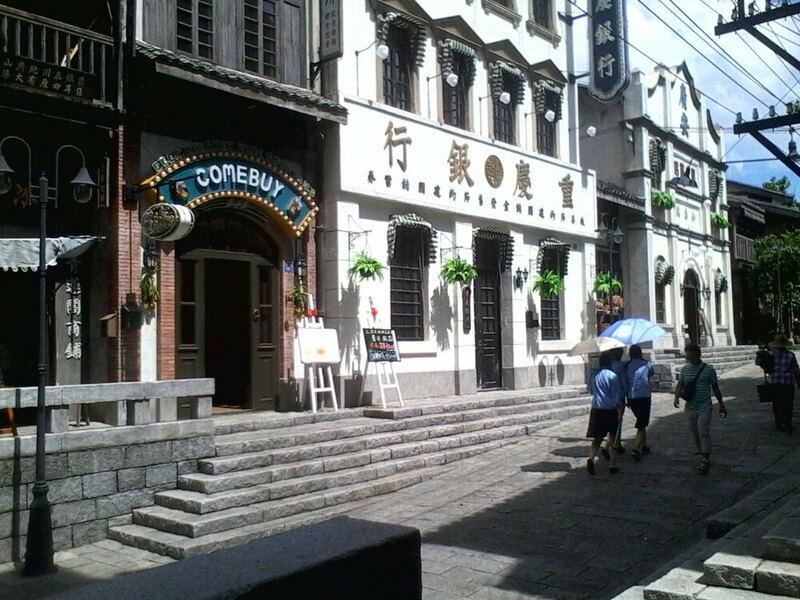 Movie Town Haikou 冯小刚电影公社 is an artificial town and movie studio about 8 km south of Haikou, Hainan. 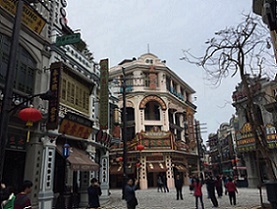 The town, located beside Mission Hills Haikou golf resort, was created as a movie and television filming location and tourist attraction in the style of Chongqing in 1942. The entire site is 1,400 acres containing 96 buildings along streets with such names as Socialism Street and Nanyang Street. Parts of the area were designed to resemble scenes from the film Back to 1942. 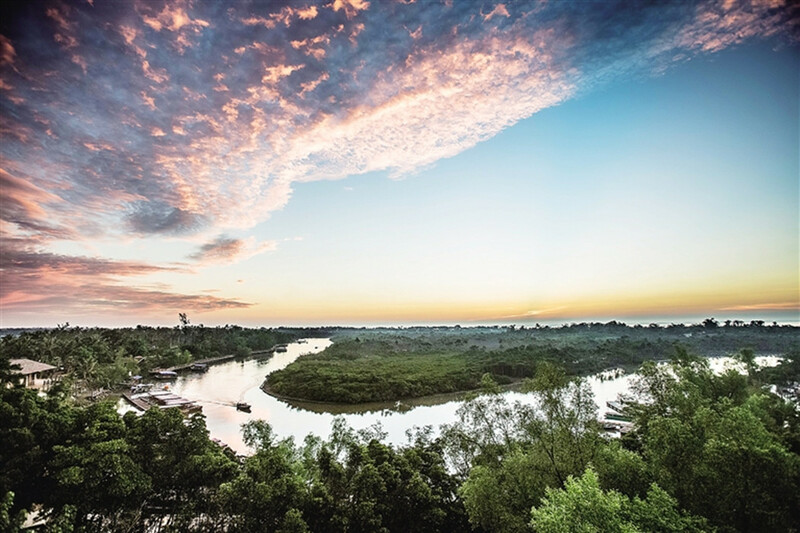 Dongzhaigang Mangrove Nature Reserve, the largest and the first mangrove natural reserve area in China, has an area of 2,500 hectares (6,200 acres) and includes six rivers. The coastline is very irregular and includes a number of bays and tidewater gullies. 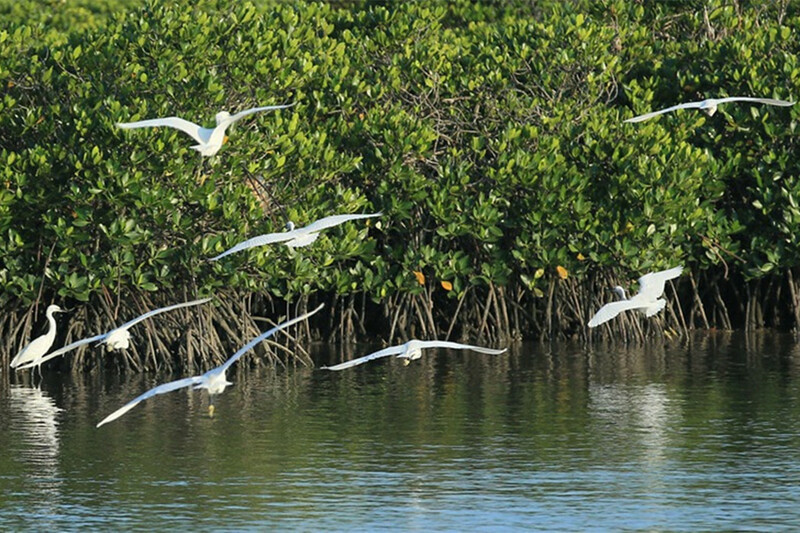 The mangrove forest on the south coast provides a habitat for birds and other wildlife. 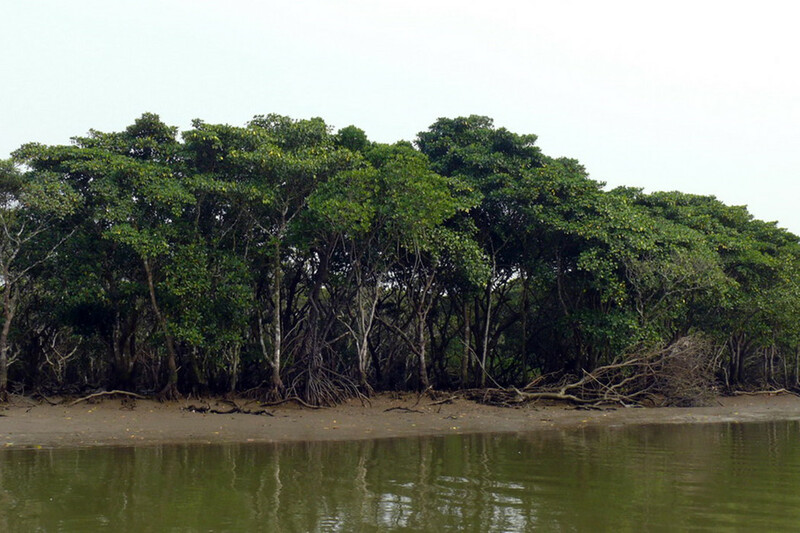 Mangrove is a kind of tropical tree that grows in swamps and sends roots down from its branches. When the tide is high, the mangroves are submerged by the water, and leave only the green crowns for people to wonder at their marvelous nature. 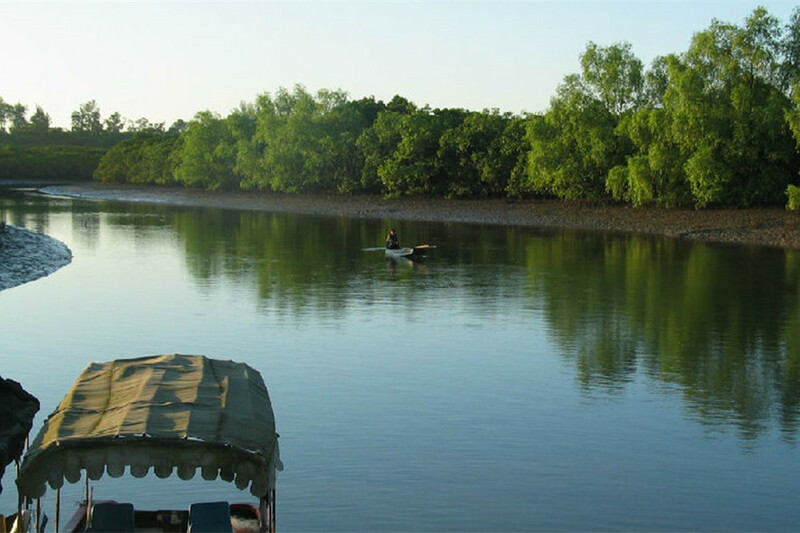 Dongzhaigang Mangrove Nature Reserve has been placed on the UNESCO World Heritage Sites Tentative List. 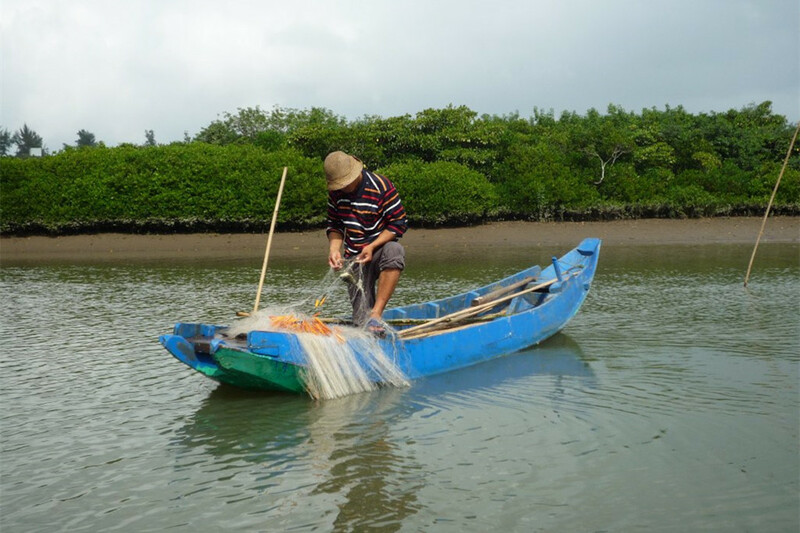 10am pick up from your hotel by our driver, first to Dongzhai Mangrove Tree Natural Reserve where we take a boat ride in the river for about 1 hour or walk around the natural reserve, and go for local lunch if you want in a nearby restaurant, then in the afternoon, we visit the Movie Studio. 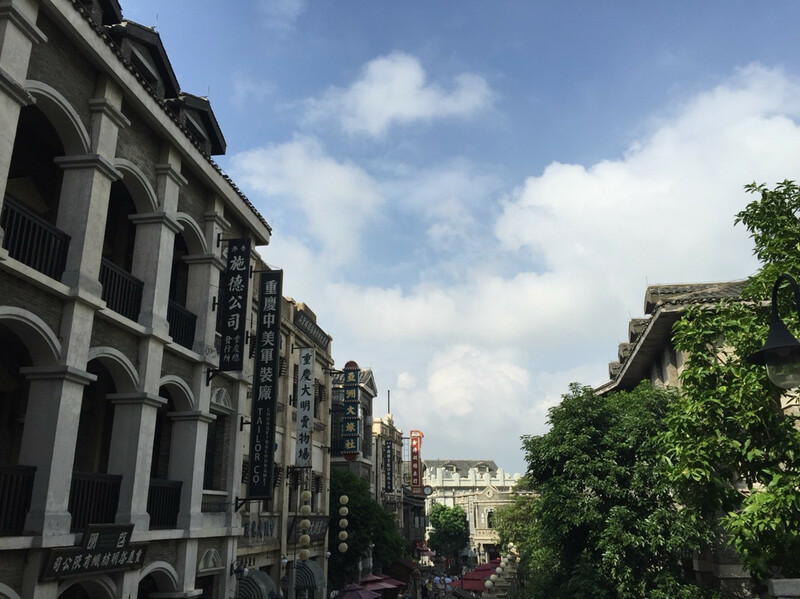 For dinner, our driver may drop you off at Haikou Qilou Old Street for some local shopping or special local food. Our private tour to Fengxiaogang Movie World and Mangrove Tree Reserve costs CNY400/person with entrance fee to both attractions, private car with Chinese speaking driver. It costs CNY1200 for 2 persons and CNY1500 for 3 persons.